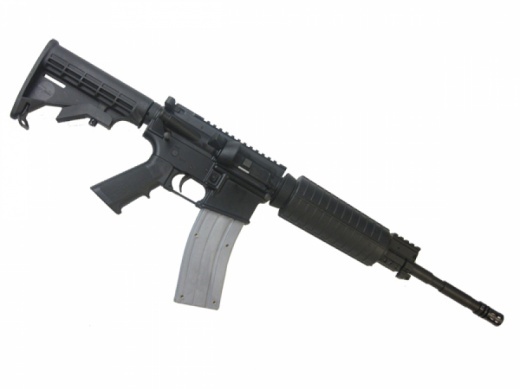 UPC Code: 0798681427888 Manufacturer: Sig Sauer Model: 556 Action: Semi-automatic Type: AR Caliber: 762X39 Barrel Length: 16" Finish/Color: Black Grips/Stock: Side Folding Accessories: Mini Red Dot Sight Capacity: 30Rd Description: AK Mags Sights: Adjustable Sights Manufacturer Part #: R556-762R-16B Price reflects 3.5% CASH discount Any type check must fully clear before shipping. Please call Lloyd at Long Range Shooting Shop 214-556-5339 for multiple item discounts. HK SL8-6 is constructed almost entirely of a reinforced carbon-fiber polymer. Based on the combat-proven G36 rifle used by the German Army, the SL8-6 uses a proven short stroke, piston-actuated gas operating system, well known for simplicity and reliability. Designed and engineered to deliver exceptional shooting performance, the SL8 is a favorite among European target shooters, due in large part to its modular construction and free-floating bull barrel. A short Picatinny rail mount is standard and allows accessory optics to be easily added. Made using the famous HK cold-hammer forging process, the SL8-6 barrel ensures accuracy and long life. The ergonomic and clean lines of the HK SL8-6 are functional and modern, giving the SL8-6 the look and feel of a 21st century firearm. With a 24” stainless bull barrel, 1 in 10 twist, free floating handguard and a high ride receiver for easier mounting of optics, the LR-308 has gone toe to toe with bolt action rifles and delivered comparable accuracy, with higher magazine capacity and rate of fire. The conventional thought that "only a bolt action could be considered a precision rifle" has been in contention ever since.